Le Bouquet Africain - Vive la télé africaine ! Vive la télé africaine ! Africable Television is a general interest private channel broadcasting news and shows from around the country. Nollywood TV is a private channel dedicated to African films and series from the Nollywood industry. The channel was create by THEMA. Nollywood TV Epic is an entertainment channel broadcasting African series highlighting African culture and traditions. Trace Africa is private music channel focusing on African trends. Trace Gospel is a music channel dedicated to Gospel in all its forms. ORTB is a public Beninese channel of general interest broadcasting flash news, information and debates concerning the whole country. Canal 2 International is a private general interest channel. Consisting mainly in news and political programmes, it also leaves room to entertainment, sports and fiction. CRTV is the only Cameroonian public channel. It mixes flash news, talk shows, sports and all sorts of entertainment. Equinoxe TV is a private entertainment channel with sports, games, music, series, etc. STV 2 is a private general interest channel. It consists in series, cultural and musical programmes. Télé Congo is a 100% public channel of general interest. It mixes news, series, talk shows and documentaries. RTI1 is a public general interest channel. It consists in flash news, political and entertainment programmes as well as youth and musical programmes. Gabon Television is the first Gabonese public channel. Along with flash news and political shows, it also broadcast youth shows and fiction. RTG is a public Guinean TV channel. ORTM is a public Malian channel. It is focused on entertainment with fiction and games, but also broadcast national and international news in French and in local languages. B-One is a private Congolese TV and radio channel. Broadcasting entertainment programmes and fiction, it also gives much room to debates and political discussions. RTNC is a general interest public Congolese channel. It mixes talk shows, fiction and information programmes. 2STV is a private general interest channel based on an aspiration to freer cultural and entertainment programmes. RTS is a public general interest channel mainly based on entertainment programmes, including local series. It broadcast in French and in national languages. SenTV is a private general interest channel. It broadcast in French and in Wolof and has exclusivity on many Senegalese wrestling games. TFM is a private Sengalese channel – it belongs to Youssou N'Dour. Based on ethics and freedom, it aims to broadcast fair programmes for all. TVT is a public Togolose channel broadcastin mainly in French, but also in Ewe and Kabiyé (national languages). With 6 flash news a day, the channel focuses mainly on civil and health issues, leaving some room to entertainment programmes. 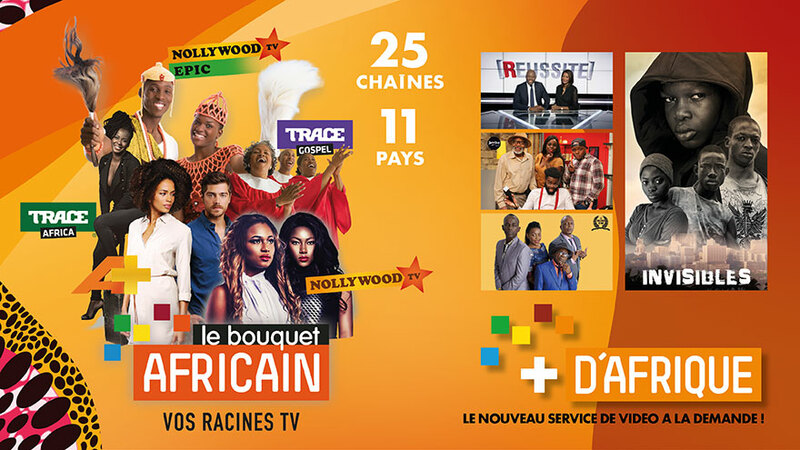 Le Bouquet Africain counts around 150.000 subscribers (households) and is available through 6 French IPTV operators. The operators commercialize several levels of the pack: the basic level with up to 10 channels and premium levels with all 22 channels.